What are the best flowering shade plants? It is a question that many a blossoming landscaping enthusiast has pondered. Plant lovers sometimes want to take advantage of every square foot of their yards, particularly if they have small yards. Under such circumstances, it surely is not acceptable to leave a portion of the landscape unplanted simply because it happens to be a shady area. But anyone who has gardened to any degree already knows that growing plants in the shade can be a challenge, especially if you have your heart set on certain kinds of plants. 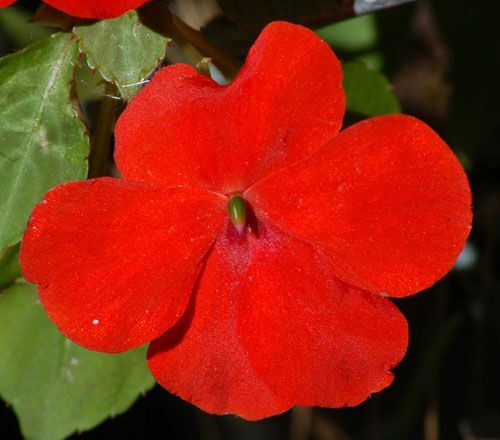 For, while some plants are made for shade and perform quite well in shady areas, other types of plants do not. You may like them, but if they do not like shade, then you have a problem on your hands. Take the reader who wrote in to say, "I have a new yard, it is totally in shade except on the east side of the house. Would a veggie garden survive there, where it would get just 4-6 hours of sun each day? And what would be the best flowering shade plants that I could plant there?" The reader is right to be skeptical about growing a vegetable garden in this area. Most vegetable plants need full sun. Unhappily, one cannot say, without qualification, that growing flowering shade plants is the logical alternative. Many ornamental plants grown for their flowers will experience reduced blooming if grown in shady spots. So you must know which flowers, specifically, are suitable for such a location. Thus the information that follows, below. Some of the best flowering shade plants -- albeit for a relatively brief period, in some cases -- may well be natives (depending on where you live). In New England, U.S.) wildflowers that like shade include Hepatica, Dutchman's breeches, and two native lilies, trout lily and bluebead lily. Browse through a good wildflower book geared to your area of the country for further ideas.